Any year that brings a collaboration between two of a reader’s favorite authors is a good one. By that measure, it is a terrific year for me once again. 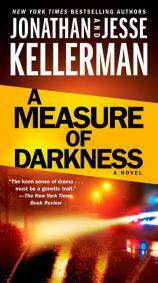 The father-son team of Jonathan and Jesse Kellerman --- each of whom is a master wordsmith --- has returned with A MEASURE OF DARKNESS, a fine sequel to CRIME SCENE. That worthy first book introduced Clay Edison, a deputy attached to the Alameda County Coroner’s Office in Oakland. Both Kellermans have a knack for setting their stories in locales where plot potential lies thick on the ground, and Oakland’s location and chaotic cultural history --- as well as the elements of Clay’s character --- have made this series a must-read since its relatively recent inception. 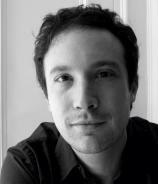 "The plots ultimately dovetail into three endings, and you probably won’t see any of them coming. They are all very different but nonetheless equally satisfying." Clay is fairly well known within the confines of the background that the Kellermans have set up. He is a former basketball star who had to quit due to a knee injury that continues to plague him. CRIME SCENE provided an introduction to Clay’s world and gave him the opportunity to solve a murder with a trail that had long gone cold. However, the killing is very fresh indeed in A MEASURE OF DARKNESS. It begins with a party being held in a refurbished mansion in a partially gentrified neighborhood in Oakland. Someone objects to the loud music, someone else objects to the objection, and shots are fired. There is plenty of collateral damage, and not from the bullets either. Some of the dead are difficult to identify, particularly a woman who is found murdered in the backyard of the house as the result of an incident apparently unrelated to the shooting. It's tough to investigate a murder when those trying to speak for the dead aren’t entirely sure what questions they should be asking. Clay does his best, following some really thin strings of evidence that seem to go in the wrong direction but are close enough for government work. The trail leads through Oakland and up to northern California and back again, even as it spins back to the past and returns to the present. Clay’s brother, who recently was released from prison, also enters the picture in some interesting ways that leave Clay struggling with what his reaction is as he attempts to decide what his reaction should be. The plots ultimately dovetail into three endings, and you probably won’t see any of them coming. They are all very different but nonetheless equally satisfying. One involves Clay’s family. It is worth buying and reading A MEASURE OF DARKNESS just to get to that particular conclusion. I read it over a few times, rocking backward and forward with glee. Not only does it perfectly capture familial politics and the ever-shifting alliances that occur, it is also so well written. It was either dashed off in one take or labored over for days; I doubt there was an in-between. Either way, it is a jewel in a book you must read.